Both politically and culturally, Egypt has always played an important role in the Middle East. Widespread protests in 2011 eventually led to the beginning of a new era when long-term president Mubarak decided to step aside. Political unrest has continued in spite of the "Spring Revolution" and numerous problems remain. Unemployment is still high and many people suffer social exclusion and poverty. With a total population of 82 million, Egypt is one of the most populous countries in Africa and in the Middle East. Due to its ancient past, it is often referred to as the region's intellectual and cultural leader. In 1952, president Gamal Abdul Nasser led the Egyptian revolution, initiating an era marked by modernisation, pan-Arab nationalism and social reforms. During his time in power, Egypt nationalised the Suez-Canal Company. In 1953, the country was declared a Republic. Long-time president Hosni Mubarak was forced from power in 2011 following widespread popular protests. These protests were fuelled by high levels of poverty, a lack of opportunities and widespread economic inequality, particularly among the country's young people. The country's economy is highly diversified. Apart from petroleum exports, the service sector has been playing an increasingly important role as the tourist influx from Western Europe continues to be high, particularly in the Sinai region. Hundreds of thousands of Egyptians have not been able to benefit from the country's economic upswing before the "Spring Revolution". The situation since has not improved. According to recent national statistics, around one quarter of the population are considered poor and thus find themselves struggling on the bottom steps of the socioeconomic ladder. The vast majority of poor people live in rural areas, particularly in the country's north, where illiteracy rates and infant mortality continue to rise. Since the year 2000, Egypt's income gap has constantly widened and inequality persists. A high number of people are struggling with unemployment and destitution. In a country globally known for its glorious cultural past, more than 30 per cent do not know how to read or write. Demographically speaking, Egypt is a fairly young nation as around 33 per cent of its population is less than 14 years old. Although noticeable progress has been made over recent years, millions of vulnerable children in Egypt are still deprived of their rights. Nearly half of all children under the age of 18 live on less than two US dollars a day. Around 13 per cent of all infants are born underweight. Poor children often lack access to schooling and health facilities. 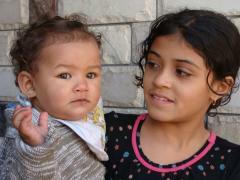 Egypt is home to 1.7 million orphaned children. Many of them engage in labour activities because their economic situation makes it necessary for them to do so. Given its informal character, child work often means long shifts and dangerous environments. For example, children harvesting cotton may have to work for 11 hours a day in 40 degrees heat. 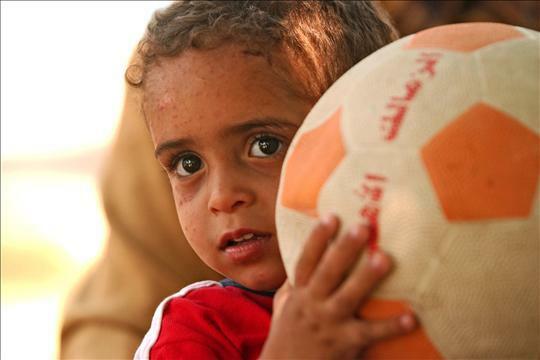 The number of Egyptian children who live in the street has been growing. Although exact numbers are unknown, it is estimated that roughly one million children roam the streets of the country's urban centres, particularly in the cities of Cairo and Alexandria. In order to survive, most of them resort to begging or petty theft. A large number of these children experience sexual and psychological abuse by adults on a regular basis. According to local reports, many of these children have been involved in the protest. Girls in Egypt are highly vulnerable as the practice of female genital mutilation, which dates back about 2,000 years, continues to be widespread. Around 90 per cent of women in Egypt have been cut. Although a change in attitudes concerning the practice can be observed, it remains common in vast parts of the country. SOS Children's Villages has been supporting Egyptian children since the 1970s. The first SOS Children's Village programme was initiated in Nasr City at the end of 1976. Only one year later, the Egyptian Society for SOS Children's Villages was officially established. In 1994, we initiated an SOS Emergency Relief Programme to support the thousands who had lost their home as a result of massive flooding in the south of the country. In mid-2003, a joint project was carried out together with the United Nations High Commissioner for Refugees (UNHCR) in order to help minors who were refugees from various different African countries at war. In late 2004, our organisation started an SOS Family Strengthening Programme, which enables children who are at risk of losing parental care to grow up in a caring family environment. At present, SOS Children's Villages is supporting Egyptian young people and children in three different locations by providing day care, education and medical assistance. When children can no longer stay with their families, they are cared for by SOS mothers.